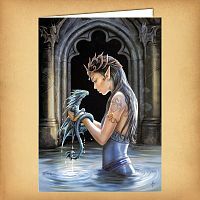 - An otherworldly beauty shares a playful moment with her aquatic friend. 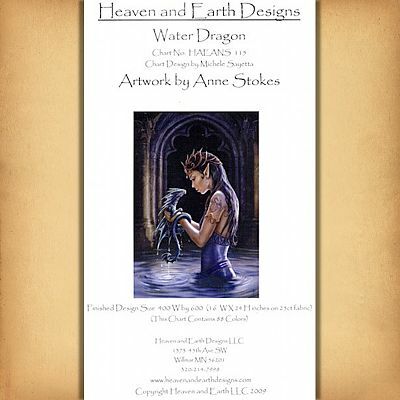 Based on artwork by Anne Stokes. This pattern is 42 pages long, and the design is 400 stitches wide by 600 stitches high. 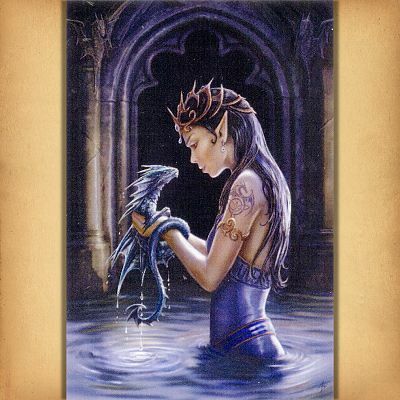 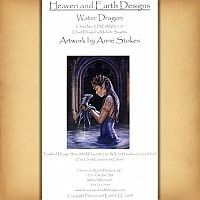 Copyright - Heaven and Earth Designs, Inc.
Do you have any other questions about our Water Dragon Cross Stitch Pattern?